We know just how much effort has gone in to choosing the right wedding dress and bridal shoes for your big day, and we are sure you will want to cherish the memories of the special occasion. 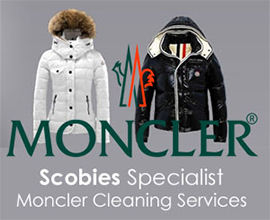 At Scobies we have the expertise and experience of cleaning and preserving your bridal gown and your wedding shoes. After carefully dry cleaning and hand pressing your dress to the highest of standards, your gown will be wrapped in acid free tissue and folded carefully in a presentation box.